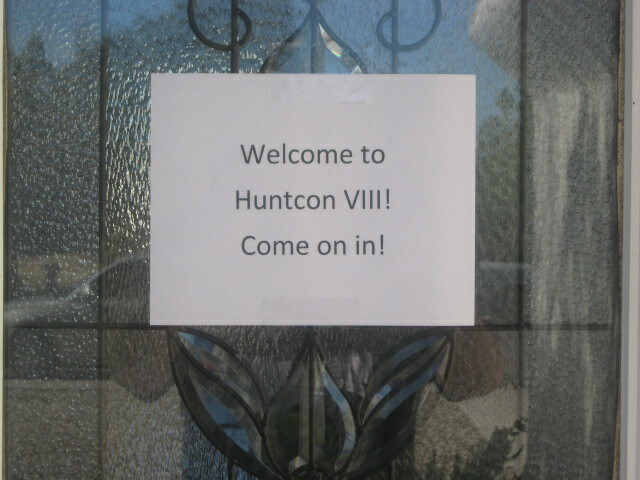 Last Saturday morning, Feb. 15, I went to a quarterly gathering of gamers called HuntCon. This is actually what my friends and I used to do every Friday night back 40 years ago when I was a young troll, but now once every two or three months is plenty. 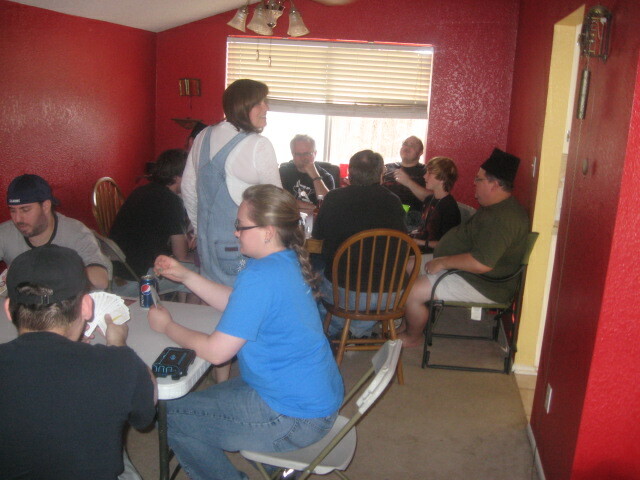 So, this is not a very exciting blog, but consider it a slice of life, gamers in their natural habitat. 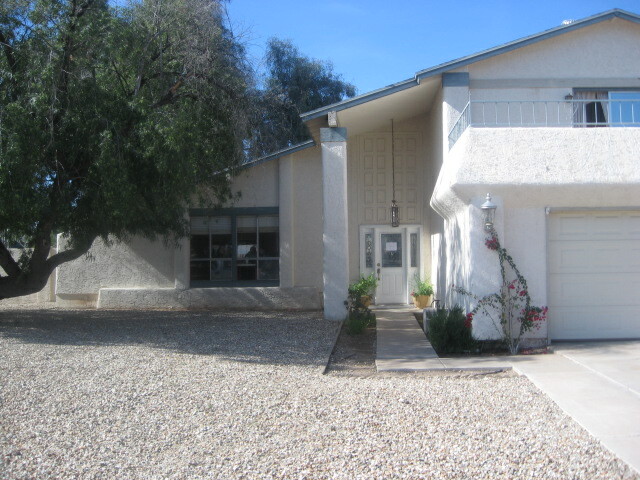 A nice home in the northern suburbs of Phoenix is the scene of a 2 day gaming party. 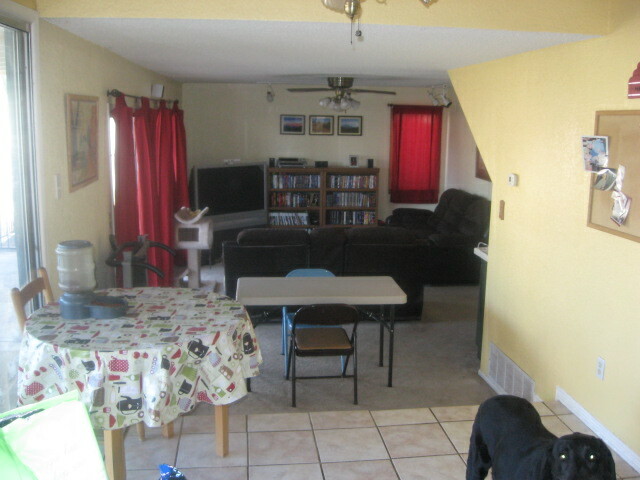 So nobody has to answer the door. 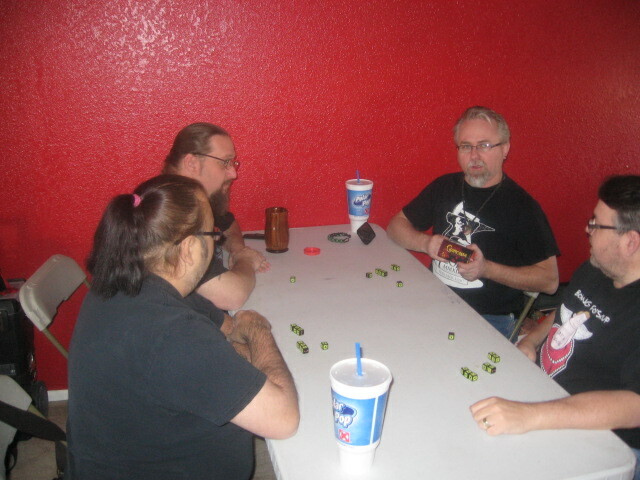 Jesse Foster, leader of the Steve Jackson affiliate in Phoenix–the Men in Black–invited me to play Chupacabra with him. 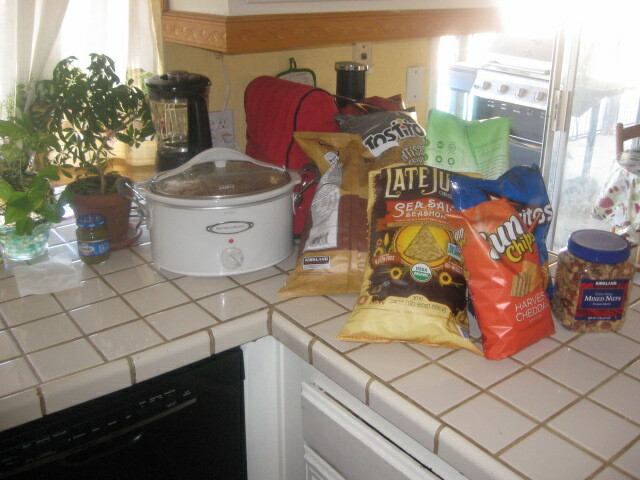 The place was well provisioned. I ate a lot of those nuts. Video games happen in the den. It is only midmorning. Nothing is happening yet. 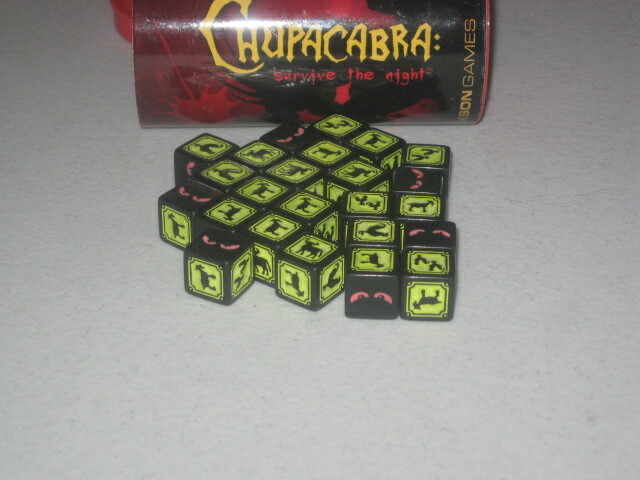 Chupacabra comes in a can. 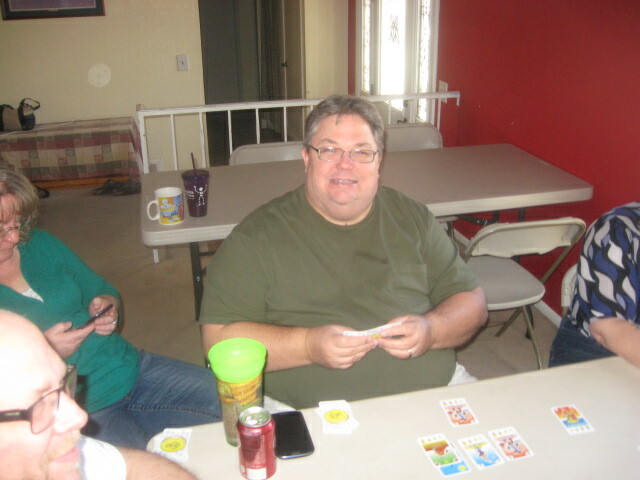 Steve Jackson Games is doing very well with its dice games that come in a can. A tip of the trollish hat to Morgan Hunt. He owns the castle and hosted the event. 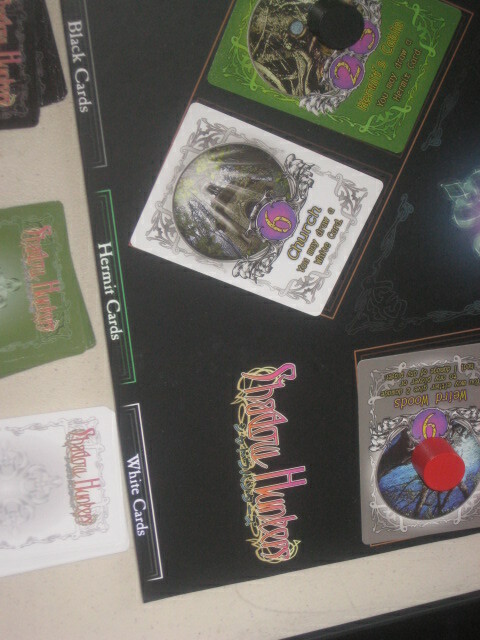 Shadow Hunter was my second game of the day. I was one of the winners. The Hunters won and so did I. 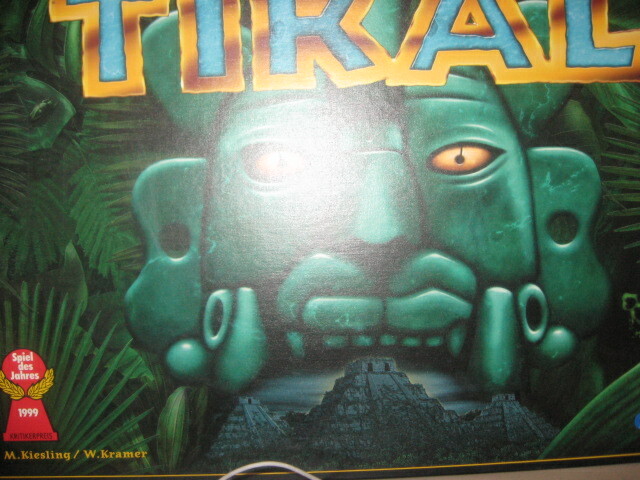 My last game of the day was Tikal, a German resource management game with tiles. By noon the place was getting kind of crowded. In the background Jesse Foster was running his Troll Hunter game. Oddly enough, though I am a Trollish champion of sorts, I have never managed to get into one of his Trollhunter sessions. i guess I don’t want to be hunted. 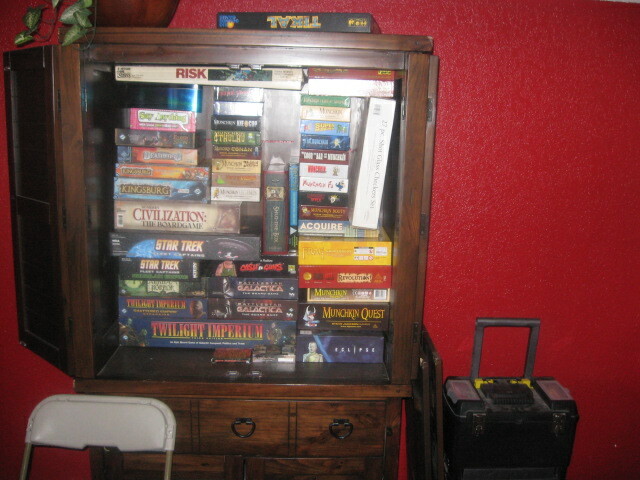 Although most of the games being played were very current, there were some really old ones availbale also. 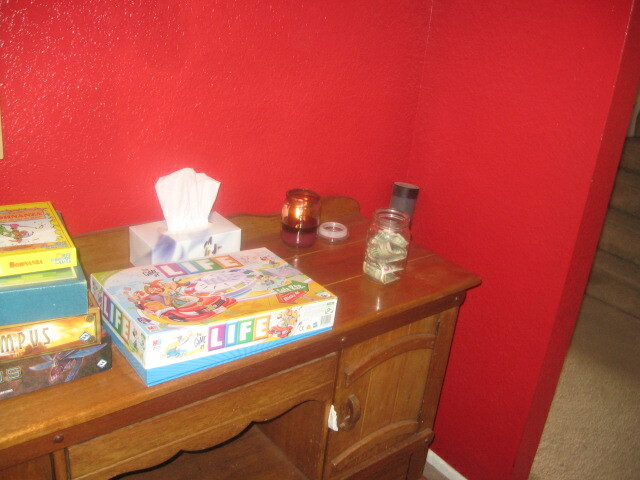 I took the picture to show the jar of money where attendees could contribute a bit to help cover expenses for the party. 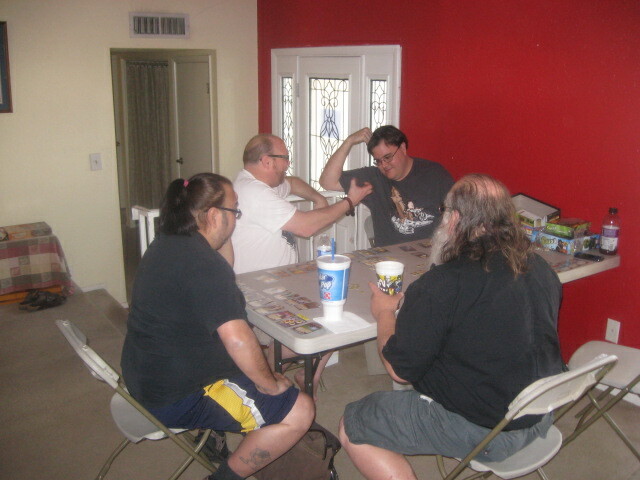 After a little over 3 hours of gaming and hanging with my friends, and with about 40 people in the house, all talking loudly, I wearied of the scene and took my leave. I had a great time while I was there, and I thank Morgan Hunt and Jesse Foster for giving the gamers of Phoenix, another great get-together. 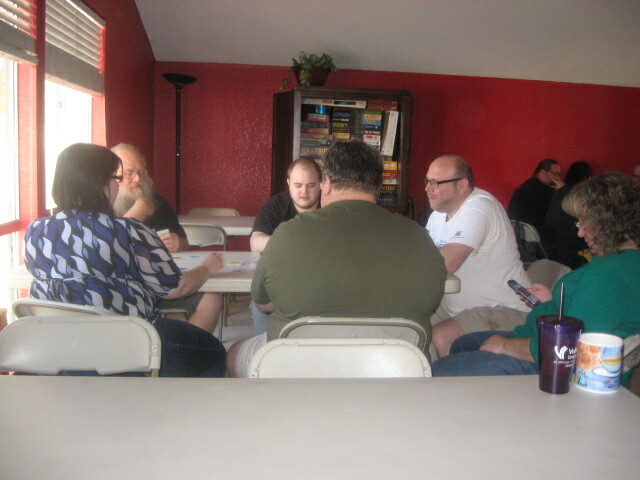 If you know any of the people in these pictures, or have ever attended a HuntCon, or would like to, why not leave a comment?